Walmart: Minute Maid and Hawaiian Punch as low as FREE! 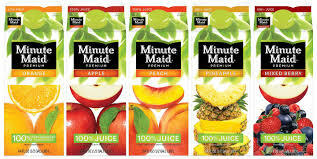 Walmart has a great deal going on through September 7, 2014 where you can get a free $5 Walmart eGift card when you purchase any four flavors of Minute Maid Juice 59 oz. Take a picture of your receipt after you purchase the Minute Maid. Then, text the picture to 811811 and you will receive a text back with a code for a $5 Walmart eGift Card once your receipt has been validated. final cost: Free plus a $1-$2 money maker! 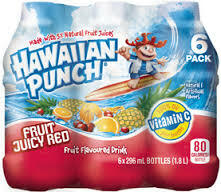 Final cost: 98-cents for six bottles of Hawaiian Punch! Excellent price! * If you purchase the Minute Maid it’s like your getting four Minute Maid and two packs of Hawaiian Punch 6 pk bottles free after the Walmart eGift Card. Awesome! ← Walgreens: *NEW* High Value $4.00/1 OFF! Clip-on Mosquito Starter Kit!